Backpackers are stingy people. They'll try to avoid paying for everything. If they can. On the other hand, budget for accommodation is one of the most important expenditure for any trip, and it is especially pricey in Japan. A typical three-stars hotel could cost up to USD $120 per night during the Sakura season. So is it possible for someone to find cheap and affordable accommodation in one of the most expensive countries in the world? The answer is: yes, of course. 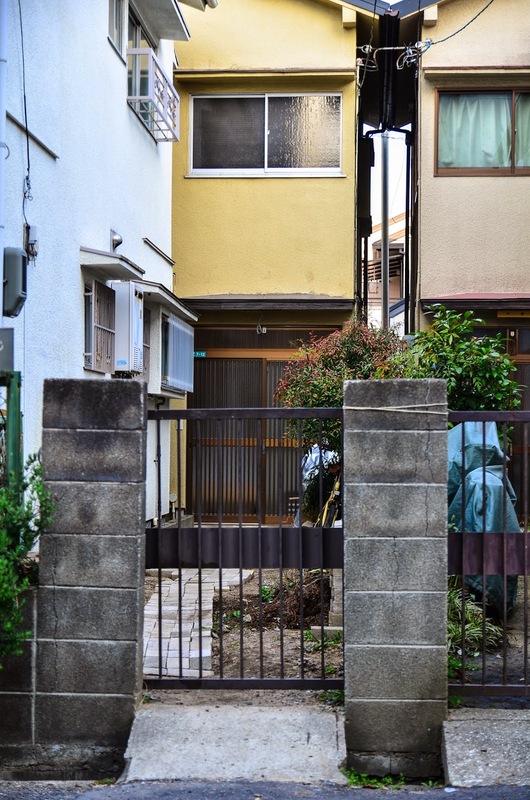 In this entry, I'll write a little bit on how to search for affordable accommodation in Japan, and hey, it works best if you're a lone traveler. It's good to stay in hostels. I've stayed in hostels in Bali, Italy, and Hong Kong. Hostels are generally clean, affordable and located near to major attractions. 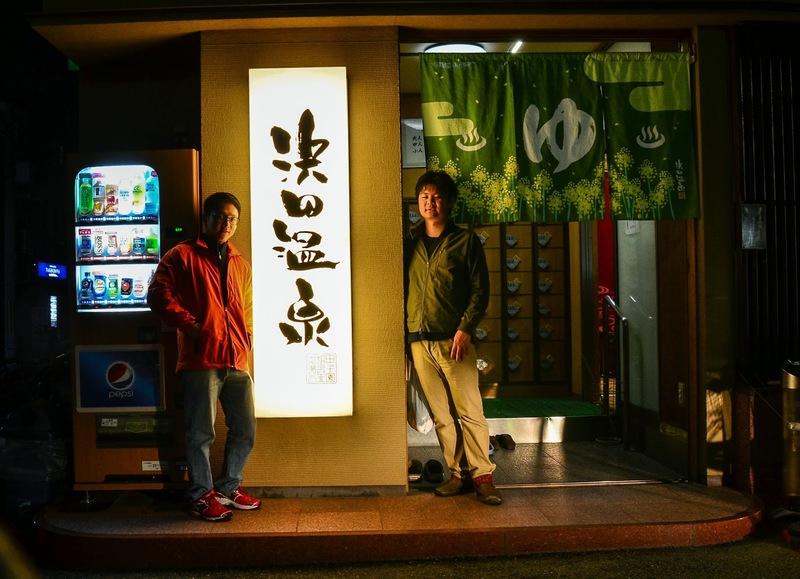 Japanese hostels are normally located near major train stations and they provide all sorts of amenities for travelers. One of the best thing about hostels is that you could meet other travelers from other parts of the world, and you could even end up as travel buddies. The price for hostels usually ranges from USD $30~ 45. One of the problems with hostels, though, is that they're usually fully booked during the peak seasons. This is how I survived Japan. All in all, I stayed in more than 4 internet cafes across Kyoto, Tokyo and Nagoya. It's slightly cheaper than hostels, and they're located near train stations as well. The internet cafe in Japan is unlike conventional internet cafe you find in other parts of the world: each user will be provided with a private cubicle, roughly 6ft X 4ft. And within the cubicle, a reclining chair or a mattress and a computer. You're free to bring the Japanese comics into your cubicle for your own reading pleasure. Shower is available in most outlets, and you get free flow drinks (coffee, coke, etc) for the length of your stay. Upon entering the place, you'll be given a price list, and if you can't understand the lingo, just point at the number 8 or 10 (usually means 8 hours or 10 hours) and look at the price. Price usually ranges from 1800yen~2200yen per 8 hours. I've shot a video (below) of the internet cafe I stayed at in Kyoto to give you an idea of how it looks like. So what I did when I was traveling in Kyoto was to put my backpack containing my clothes in the coin locker in major train stations during the day (300yen), went to the castles, came back at night to collect the backpack and headed straight for the internet cafe. The best one that I've had in Japan was the manga cafe in Nagoya-the cubicle was very spacious for an Asian guy like me, completed with a pillow and mattress. 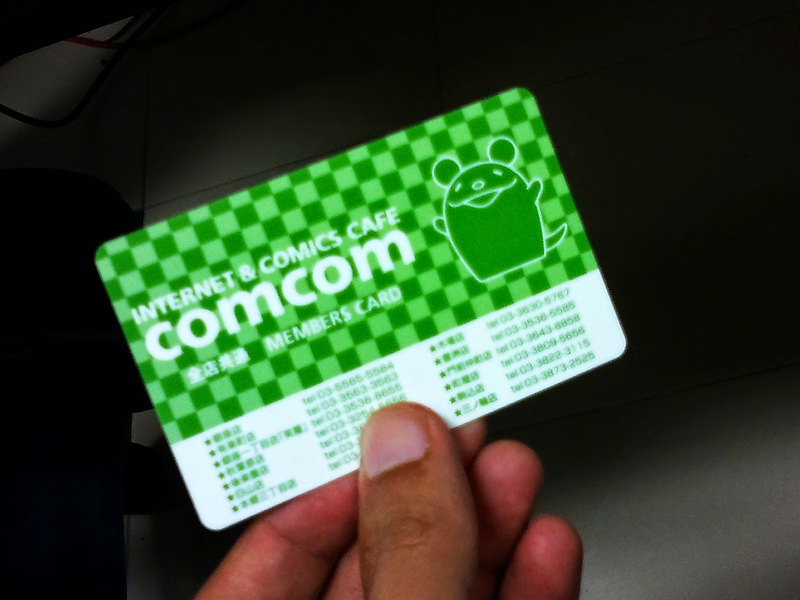 The member card of the manga cafe in Tokyo. The red circle shows a manga cafe, and the blue circle shows a karaoke outlet. This was near Nagoya station. Apart from staying in internet cafe, I also managed to find two hosts to accommodate me in Japan. The best thing about couchsurfing is that you get to save on your accommodation, and the host would usually bring you to places only the locals would go-which are less touristy and less expensive. Double win. My host's place in Osaka. I was given this room. Very spacious and comfortable. But be sure to be polite, cooperative, and at least give them a present or something when you leave. To participate in couchsurfing, just log on to couchsurfing.com, make an account, and start looking for host. I didn't manage to find more hosts to host me because I started looking too late, I was lucky to find two three hosts when I should be getting none at all, and due to miscommunication I missed out on my last host in Nagoya and had to stay in the internet cafe. My host, Kosuke, and I at the public bath (onsen). After securing a host, please get their phone number as well, and when you're in Japan, call your host using the public phones (can be found in almost all train stations, and unlike public phones in other countries, they actually work!) and get the details of their address. I hope you find this information useful. Drop me a message in the comment section if you have any question.